Just in case you mised today’s show, you can catch the replay of my “The Cutting Room Floor” interview with Casey Ryan HERE! The show was a BLAST, and we touched on almost everything I have going on right now from dance, animation, and arts education, to The Artsiders, Butterfly, Fancy, and even the upcoming animated The Karl Dahl Show (which I PROMISE to post info on really soon)… so follow the link, and I hope you enjoy the show! 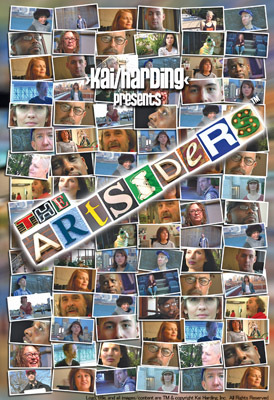 By the way… If you are interested in picking up a copy of THE ARTSIDERS for yourself, you can buy it HERE!